Mountain peak climbing is technical and challenging adventure. Everest climbers need to know some basic information for the successful summit. We have some frequently asked questions with answers that gives you the idea for climbing. Read these questions/answers for your preparation before you proceed to book your trip with us. 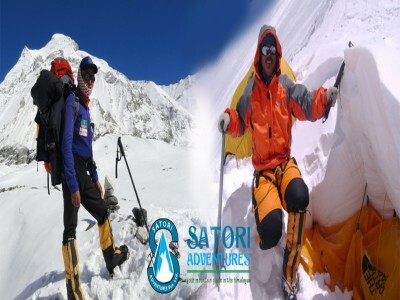 Selecting climbing equipments plays important role in success of summiting a peak. 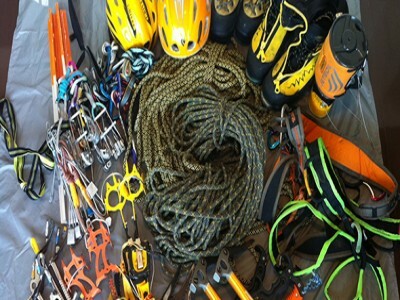 Be preparing by knowing the necessary equipments for your climbing adventure. Quality tested and comfortable equipments is necessary for organizing and climbing a mountain peaks. 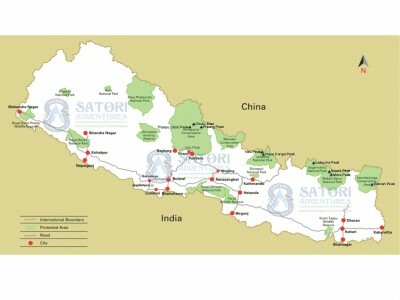 Satori Adventures suggest you some necessary climbing equipments for your trip in Nepal. Check your climbing goods checklist, their brand for quality and climb without any stress. Peak climbing permit and fees are fixed by the Government body. Necessary permits should be taken as a permission of climbing a mountain peak. The climbing fee is based on the elevation and location area. Sometimes climbing permit and fees raises the cost of travelling budget. So read the permit fee before you confirm your climbing. Group joining trips are best to reduce your cost of travel which shares the permit fees. Group climbing fees are base on the number of person in a single climbing group. We suggest you to climb in a group to save your climbing budget. 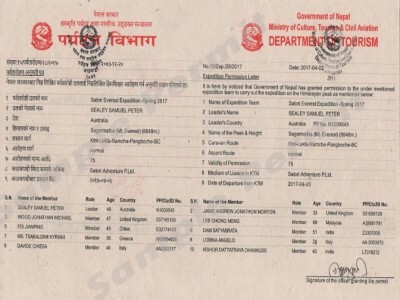 Government of Nepal has announced some peaks as a royalty free mountain peaks in which you can climb without paying royalties. These peaks are free for climbing. If you are willing to climb mountain peaks or want to reduce your climbing cost, these peaks are best for you. Read our list of climbing peaks without paying royalties and save your money. Nepal Mountaineering Association (NMA) has categories peaks in three different categories. The group C peaks are consider as trekking peaks. The trekking permit for climbing peaks are less than the expedition peaks. Find the list of trekking peaks in Nepal which are open for climbing for foreigners. Nepal Mountaineering Association has conducted peak climbing rules and regulations for organizer, climbers and climbing staffs. For the environmental concern they need garbage deposit fee, permit fee, security and other funds. Read the rules before the climbing. Every members are necessary to follow the rules. There are 414 peaks open for climbing in Nepal. Of those 414 peaks there 72 (7000m/22,965ft) peaks open for climbing. The 7000m peaks of Nepal can include some of the most daunting climbing objectives that the Himalayan kingdom has to offer. There is certainly a range of difficulty from easy to challenging to keep both the novice and expert climbers busy. There are 414 peaks open for climbing in Nepal. Of those 414 peaks there are 8 (8000m/26,246ft) peaks located in Nepal that are open for climbing. Currently there are 14 (8000m) peaks in the world all of which are located in the Himalayan Range.